In our current government shutdown—this time over $5.7 billion dollars President Trump is demanding as a down payment to build a wall—I was thinking about last year’s much shorter shutdown (only 3 days) over a DACA fix and the many other numerous times politicians have used the security of undocumented people and families as a bargaining chip in political debates. This blog post is a reflection of my feeling and thoughts of the last year’s DACA fix during the appropriation process. This ISN’T what other DACA recipients or undocumented youth felt during this time. My two younger sisters and I grew up in the rallies our mom would drag us to. My mom was an organizer and I hated it. My weekends and weeknights were always filled with meetings, rallies, protest, and vigils. But after being tricked to share my immigration story and then organize a rally at the age of 15, I fell in love with it. A few years later I got my first community organizing job while I was a student at Xavier University. I organized a group called YES, Youth Educating Society, a group for high school and college students who wanted to fight for immigrant rights, empower immigrant youth, and put pressure to elected officials to adopt pro-immigrant policies. After the 2016 election, our membership grew and the following year we had 100 members across the greater Cincinnati area with 50 of them considered “active members.” On September 5, 2017, every DACA recipient and their loved ones’ nightmare happened. The Trump administration decided to end the DACA program. That night I went to bed with a 105 degree fever, exhausted from rapidly organizing a protest outside of Senator Portman’s Cincinnati office, and having to comfort my fellow YES members. I spent the rest of that night re-planning how to achieve my life goals as an undocumented citizen. I spent the rest of 2017 trying to pass all my classes so I could stay on track to graduate in May 2018, organizing rallies in support of the 2017 DREAM Act, coming to D.C. to lobby Ohio Senators and Representatives to support the DREAM Act, and participating in a sit-in at Senator Portman’s DC office. But the most challenging and stressful month was December when immigration advocates made their strongest push for a DREAM Act. The current government shutdown reminds me of the one that happened in January 2018, and how they both resulted from immigration-related issues: DACA last year and building a border wall this year. In December 2017, Congress had to pass multiple short-term continuing resolution bills that would fund the government for the following year. Democratic leadership saw that moment as an opportunity to secure a Republican commitment to hold a vote on legislation that would protect the 800,000 DACA recipients who felt the weight of deportation again after the Trump administration rescinded DACA. After several negotiation meetings between President Trump and Democratic leaders, a deal was made. Republicans would include a DACA fix to last few appropriations bills, and Democrats would agree to give President Trump the money to build the Wall. Activists made it clear to Leader Pelosi that they didn’t want that deal. We wanted a clean DREAM Act. I was scared. I was freaking out. I kept a close eye on leading groups in DC who were organizing actions for a DACA solution, aiming to make this the last time we had to pass a bill that will give DACA recipients citizenship, instead of the threat of deportation. I was thankful that those demonstrators were doing what needed to be done to put pressure on the Senate to pass a clean DREAM Act. I was angry at myself that my exams were on the same week all of this was happening, and I couldn’t go to DC to do my part. Then I realized that if the DREAM Act didn’t pass, in 2019 my DACA would expire and I would lose the job I got after graduating from college. Since September 5, 2017, I still didn’t know how I could accomplish my life goals without my DACA. Watching all of the action in DC kept reminding me that I still didn’t have a plan figured out. This standoff resulted in a government shutdown from January 20-22, 2018. 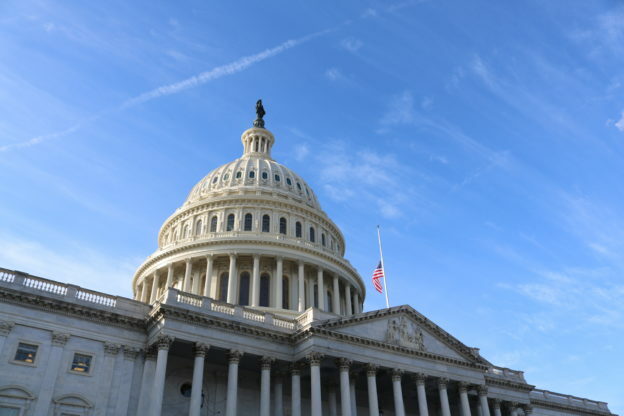 The shutdown ended when the House and the Senate passed a short-term continuing resolution funding the government until February 9. Part of the agreement was that the House and Senate would use that time to pass legislation that would protect DACA recipients. Instead, federal court orders in January and February extended DACA renewals for previously-approved DACA recipients. By the time Congress needed to pay additional funding for the federal government, there was no mention of a legislative solution for DACA. Since then, Congress has not considered the DREAM Act bill again. This past December, we found Congress in a similar position they were in the previous year. They needed to pass seven appropriations bills to fund the government, including one for the Department of Homeland Security which would have given President Trump money for the wall. This time, no one wanted to put a DACA solution in the debate. In some weird way, I’m kind of glad. I don’t think I could take another emotional month like the one in December 2017. But this time, the fight for wall funding is still relevant and is the reason why we’ve been in a government shutdown for 27 days. Before everyone at NETWORK left for the holiday break, we saw President Trump refuse to sign the funding deal that didn’t give him the $5 billion to build a wall on the US southern border. Coming back to the office this month I was disappointed by the lack of leadership President Trump has to re-open the government. President Trump has failed to get the funding for the wall but has succeeded in further dividing our country. I know passing a clean DREAM Act, or even a comprehensive immigration reform bill, won’t be easy. It would most likely get worse before it gets good and we’ll definitely get scuffed-up, but we’ll get it. I have faith. This entry was posted in Emerging Justice Seekers, Front Page, Immigration, Racism on January 17, 2019 by jose.